Create your own poetry with a Sonnet from Parker. Multiple layers of rich red, blue or black lacquer coat this long-lived, balanced design. Black Sonnets are offered in matte powder-coating or glossy lacquer. Feelings will flow from the heart and the steel nib on your fountain pen. 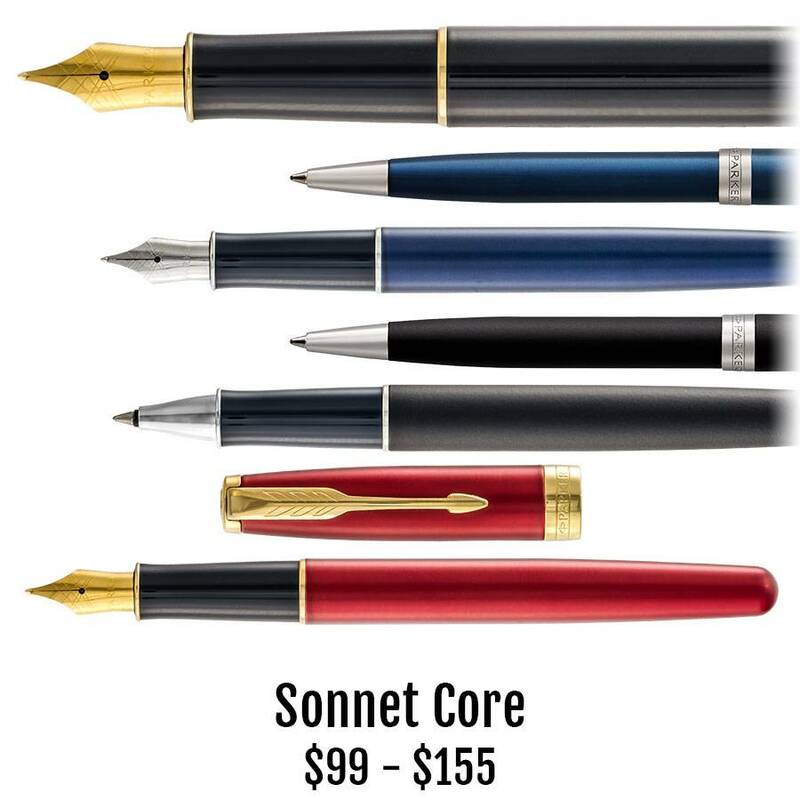 The capped Sonnet rollerball lays down consistent lines with a fine or medium point refill and the twist-top Sonnet ballpoint has infinite options to make it write just like you love.